The following is the obituary of Mr. Frank Rios. Rios was the co-founder of the Chicago based motorcycle club, the Hell’s Lovers. 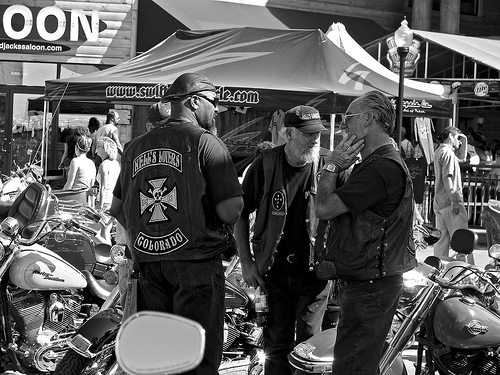 Started in the late 60’s, the Hell’s Lovers MC was one of, if not the first, integrated motorcycle club in the area. Read on and rest in peace Frank. A Harley-Davidson buff who was turned down when he tried to join a motorcycle club in the late 1960s, Frank “Claim-Jumper” Rios started the Hell’s Lovers, one of the first integrated biker organizations in Chicago. Mr. Rios, 62, died of cardiac arrest attributed to complications from diabetes Monday, Dec. 28, at Aurora St. Luke’s Medical Center in Milwaukee, his son said. Mr. Rios had moved from Chicago’s West Side to Milwaukee in 1997. A Mexican-American from the West Side, Mr. Rios was an outsider among existing motorcycle clubs when he started the Hell’s Lovers in 1967. Overseeing his own club allowed him to meet others who danced to their own rhythm, his longtime friend, Andrew “Poolie” Poole said. The Hell’s Lovers have about 50 members in Chicago and claim more than 1,500 members across the country in states like Tennessee, Colorado, Texas, Georgia and Maryland, Guyton said. Many motorcycle clubs have an outlaw reputation, and members of the Hell’s Lovers had occasional scrapes with the law over the years. But Mr. Rios managed to stay out of serious trouble. Mr. Rios, a boxing and martial arts instructor, rode his Harley regularly until four years ago, when he started suffering complications from diabetes. Mr. Rios is also survived by a sister, Loretta Bernard, and four grandchildren. RIP Had a lot of respect for the man. He was an Honorable man. Met him once in Memphis and had good conversations with him before I ghosted. My condulances to his family and the club. I will always remember the Man. Oh my God, We had no idea that Claim died. So sad. He was such a sweetheart. He will be missed by many. Thank you for your posting about him. Our prayers are with Lil-Bit, his family and friends. I met Claim a few times but never heard this story. Im a big supporter of hells lovers. 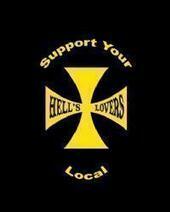 HELLS LOVERS OUTLAW CLUB . When Satan’s Choice drew a line So, You Wanna Be on TV?